Orange is the New Black is coming back for its seventh and final season and likely hit Netflix in summer 2019. Here’s what we know about season 7 including the release date, who’s returning, what will it be about and some snippets of information about the spin-off series due to release. Note: This is an ongoing article so we’ll continue updating as time progresses. The last update was in March 2019. Let’s quickly catch you up with the antics so far and how we got to season 6 of OiTNB. The series first premiered back in the early days of Netflix Originals. The first season dropped with 13 episodes all at once and took the world by storm. Although House of Cards was the first major Netflix Original, Orange is the New Black is when competitors took note of Netflix. Since 2013, a new season has dropped every single year since in June with the exception of this season which dropped in July. In case you didn’t know, Netflix ordered a huge block of seasons for the show. This was and still is an unprecedented move by Netflix as they rarely give multi-season orders. The show is currently renewed up to season 7 and has confirmed to be its last but perhaps not the end to Litchfield as a whole as we’ll explore below. On February 27th, the cast and crew took to Twitter with great sorrow that season 7 has now wrapped up filming. 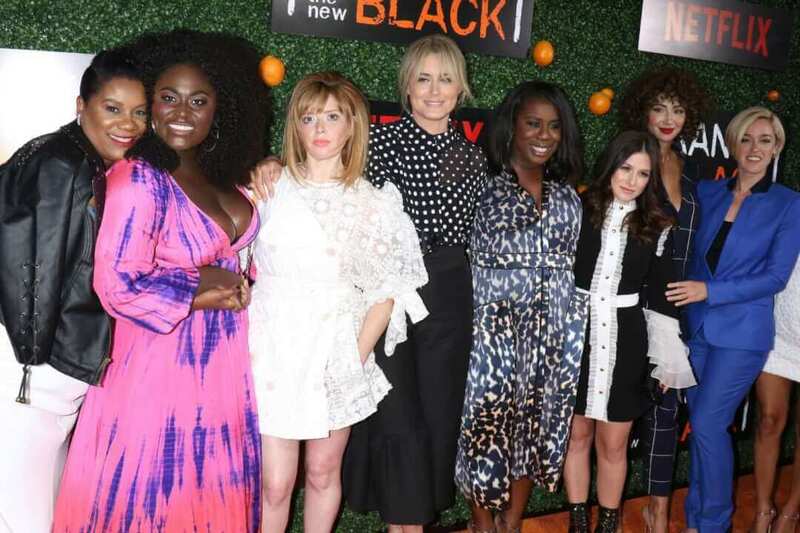 "Orange Is the New Black" has officially wrapped production on the final season. The series will now move into the editing phase and then be prepped for release. The sixth season was the biggest shakeup yet for the show. Season 4 and 5 saw Litchfield in absolute chaos. As a result of the riots and deaths, the women have been split up and sent to a max prison. At the end of season 6, the shows main star is now free. Piper got the verdict in her favor and sees her early departure from prison. This was only shortly after the prison wedding between Piper and Alex. What will happen in Orange is the New Black season 7? Other inmates weren’t quite as lucky as Piper. Taystee has been convicted of murder and will continue to serve her time. Daya still descends into drug addiction, Blanca is being deported. In the final moments of season 6, we see the prisoners being split into two busses. One is headed for the border and the other to an unknown prison. Orange is the New Black has never shied away from being political. It’s been a constant advocate for prison reform which is partly due to the show’s inspiration being a strong advocate too. We know from several casting announcements that ICE, a government organization which is under great scrutiny in real life will feature here. The show has always had something to say politically but expects that to be dialed up for season 7. Throughout season 6, a few of the girls in prison quoted Donald Trump directly so don’t be surprised if we hear or see of the current President in the next season. Season 6 had some notable missing cast members who were shipped to another prison but we didn’t follow them. When will Orange is the New Black season 7 be on Netflix? Given the history of the shows release dates, we have absolutely no doubt we’ll be back to the girls in 2019 and this has been confirmed multiple times. As per the previous seasons, we’re expecting season 7 to be available come summer 2019 but it’s most likely it’ll follow the previous months either in June 2019 or July 2019. Worst case scenario they’ll be back at the tail end of the summer. Where is season 7 in production? Thanks to Tweets from the likes of Laura Prepon, we know that season 7 is still currently in the filming stages. It’s likely we’ll hear of the end of filming at the end of February or March. What cast members will be returning for season 7 of Orange is the New Black? It appears that most of the main cast from season 6 will be returning for season 7. Of course, many of the cast members will be filming separately for season 7. The latest addition to the cast is actress and comedian Iliana Inocencio. It is unknown at this time what role she will have in the upcoming season but her brother took the time to congratulate her on twitter for getting a role in the series. 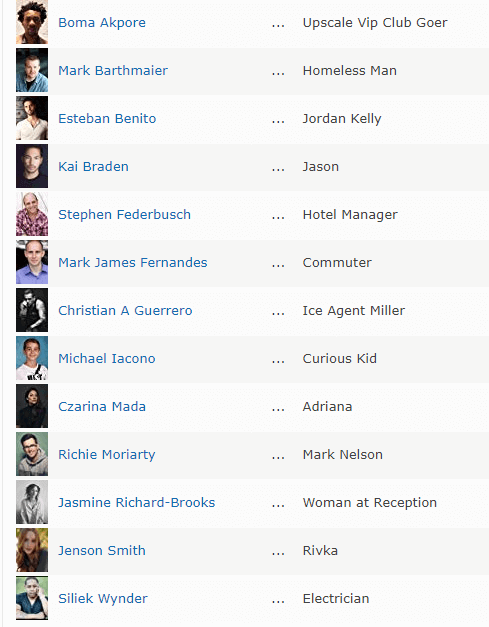 As of January 2019, thanks to some IMDb updates, we also know of some other smaller recurring characters who will be making their way back for season 7. Mandela Bellamy who plays Rosalie Deitland is scheduled for three episodes in season 7. Evander Duck Jr. who played a case manager and Bernard Whittles will return for episode 6. We also know of some new character too both playing roles of significance or more background. Is Laura Prepon returning for Orange is the New Black season 7? Longtime fans of the show will know Laura Prepon who plays Alex Vause has spent many episodes on the sideline. For most of season 6 for example, she was not present. She’s confirmed her involvement in season 7 and once again, it extends beyond just reprising her role as Alex. On January 18th, 2019 Laura confirmed she was directing again. Here directing experience on the show began in season 5 and talked about the experience in an interview in December. 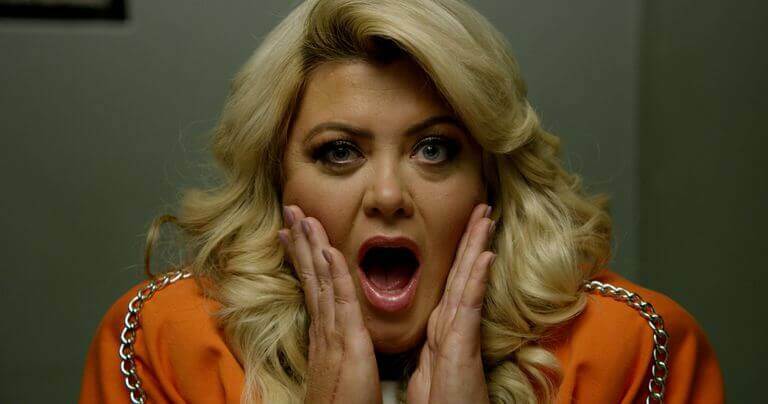 Is Gemma Collins starring in Orange is the New Black season 7? We’ve seen rumors circling around that Gemma Collins will be returning for season 7. The reality is, she only appeared in some UK promotional material for season 6. 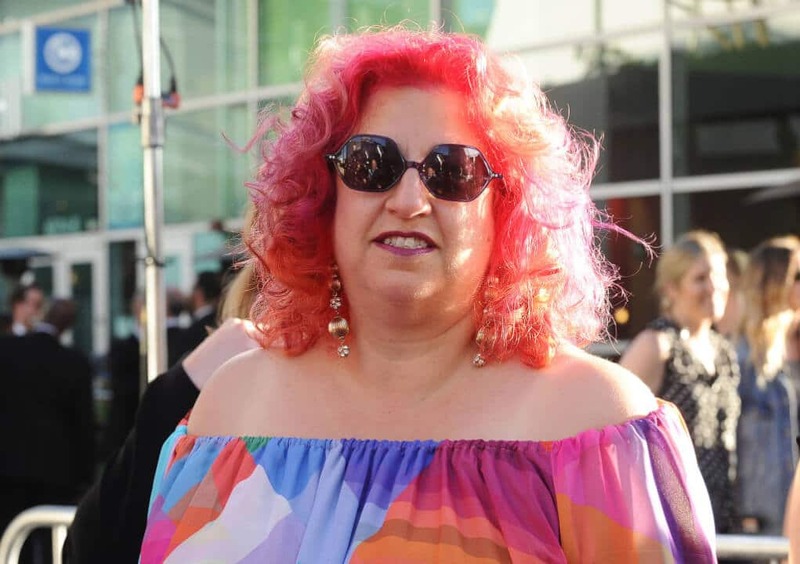 Although Gemma has stated her intention to get into serious acting, it’s not expected she’ll be a recurring character in season 7. Gemma Collins, for those who don’t know, appears in a popular UK reality series called The Only Way is Essex. Thanks to some casting information and IMDb being up-to-date, we’re currently expecting season 7 to consist of 13 episodes. Sometimes on finale seasons, we get a longer episode but that’s yet to be confirmed for Orange is the New Black season 7. Will Natasha Lyonne be returning for Orange is the New Black season 7? 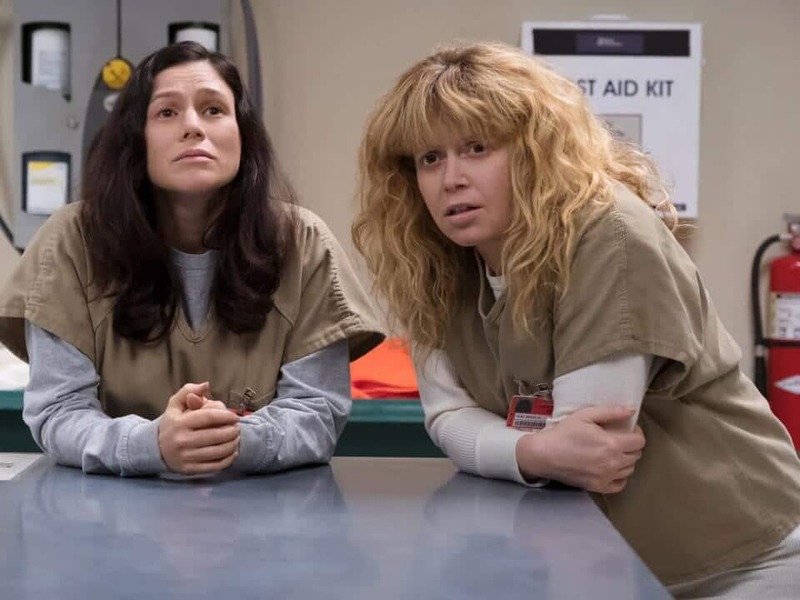 Natasha Lyonne who has a major career break on Netflix recently thanks to her new hit show Russian Doll will be returning to reprise her role as Nicky. Speaking to Insider, she said “How heartbreaking it is going to be to see it end,” adding “We’re really a tight unit.”. Will Season 7 be the last season? 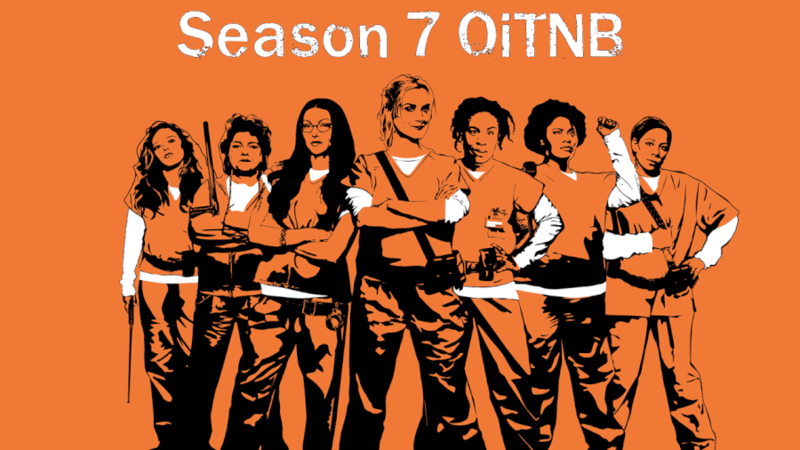 As it stands, season 7 is currently the end of the road for Orange is the New Black. It was confirmed recently after a compilation video was released showing with the cast announcing the news. You heard that correctly. Season 7 may not be the end and a potential sequel is in the works behind the scenes according to THR. This news came in November 2018 where Genji Kohan (the shows creator who also works on Netflix’s GLOW) is said to be working on a sequel. This could mean a potential sequel is years down the road but still really good. Can you wait for season 7? The wait for the final season begins. Fans of the show are already expressing their dismay on Twitter to the news of season 7 being the finale. Now it’s over to you, are you looking forward to season 7 of Orange is the New Black? We’ll be updating this post throughout the year reflecting any and all news we hear regarding the series. Next story Are Seasons 1-4 of Billions on Netflix? Previous story When will Season 7 of Wentworth be on Netflix?